The Blue Bonus event is now on! Get up to $6,000 in total cash price adjustments on select models OR get 0% financing available on ALL models. 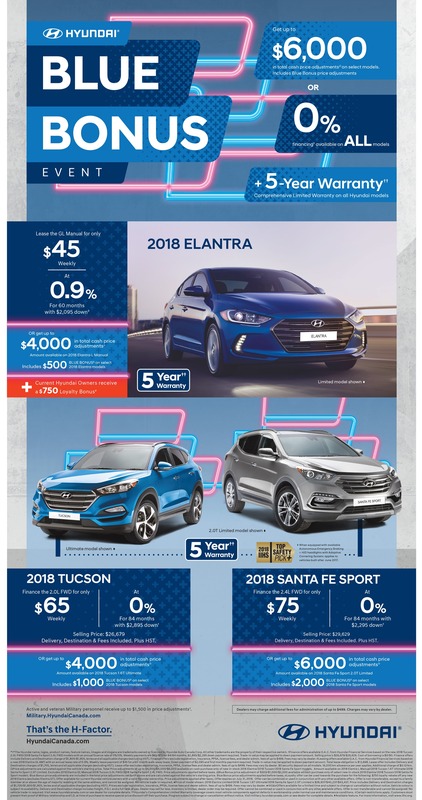 Hurry in to Toronto Hyundai today!